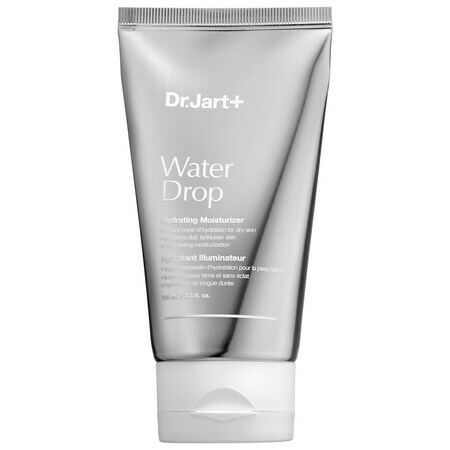 This lightweight, refreshing moisturizer features a special emulsion system with droplets packed full of brightening and nourishing ingredients. The innovative formula bursts into tiny water droplets when applied—providing instant hydration and brightening dull, lackluster skin. Great for all skin types, it relieves dry, sensitive skin, revitalizes, and prevents visible signs of aging with concentrated antioxidants for a healthier-looking complexion. It really does come out of the tube like a cream and turns into a liquid. I love how it just soaks into the skin with no slimy after feel. Did it have all of the above listed benefits? No. I love skincare like this however this just didn’t do anything for my skin. I was expecting it to be plumping like Hyaluronic acid. It wasn’t. If you have dry skin this won’t do much at all. I’m still on the hunt for a serum like this that works like a more dense Hyaluronic acid.